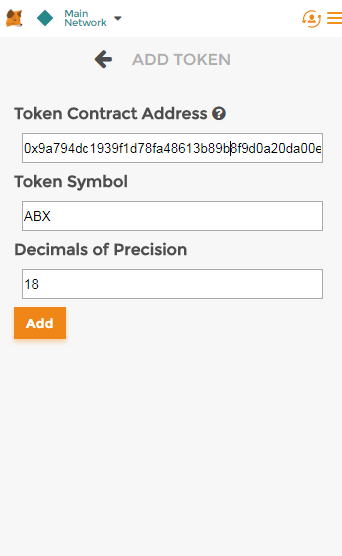 We recommend using MyEtherWallet or MetaMask to receive ABX tokens. 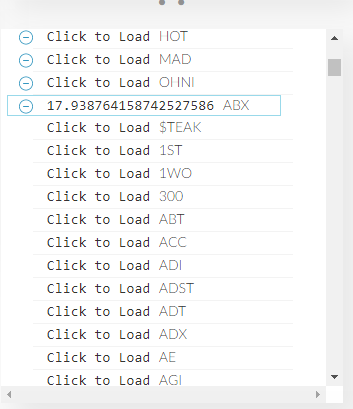 Attention: for the balance to be displayed, please fill in the Decimals field with the number 18. 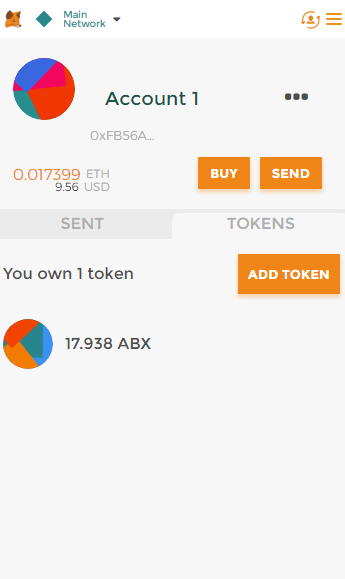 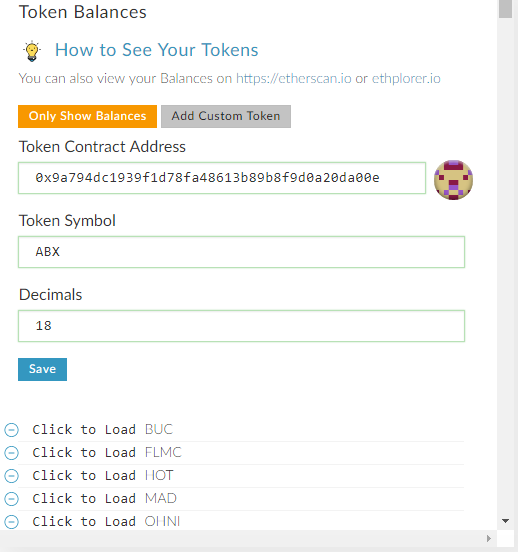 For MEW: Your ABX tokens will be added to the list of tokens and you can check them in your ABX balance now. 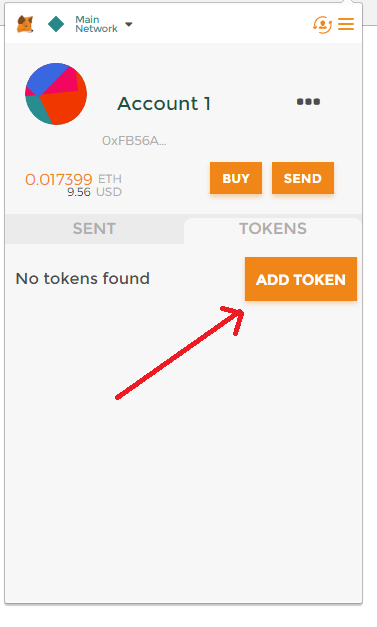 Didn't find help you needed?